Please join NAWIC Miami Chapter 41's monthly general membership meeting, where you will have an opportunity to network with female professionals within the construction industry. This month, we'll be hosting several events during Women in Construction (WIC) week. 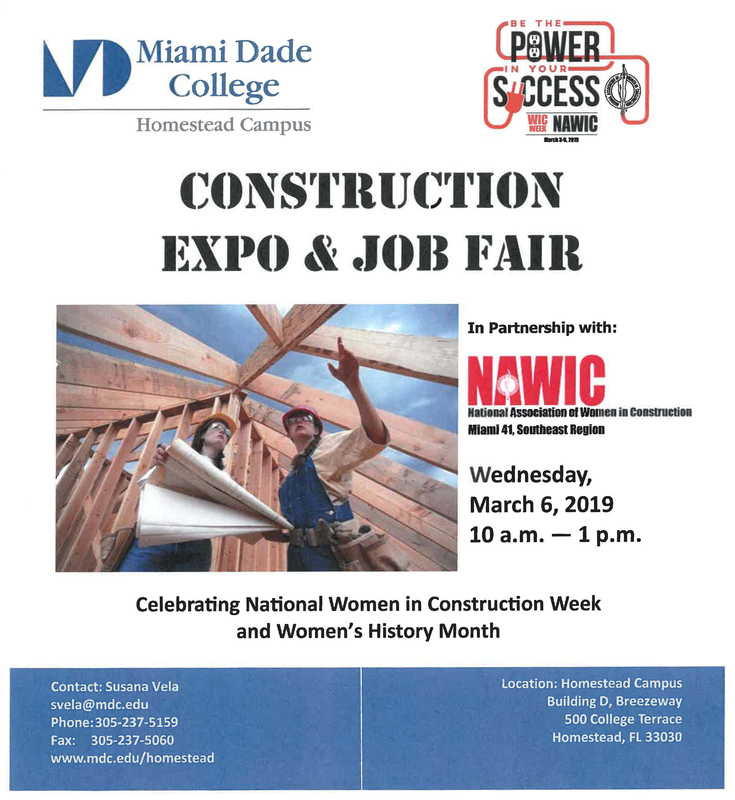 Miami-Dade College will be hosting a Construction Expo and Job Fair at their Homestead Campus in celebration of National Women in Construction Week and Women's History Month.